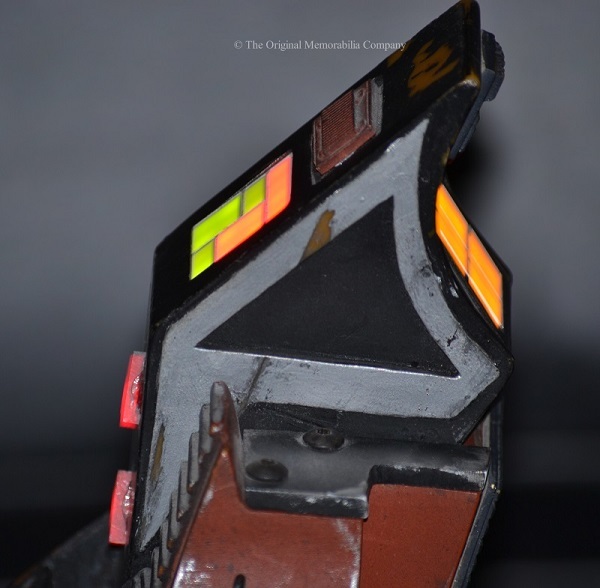 Star Trek V & VI Klingon Tricorder Star Trek prop maker Richard Coyle has confirmed in writing that he made this distinctive Tricorder and that he believes this is an unused ST6 version that may have also been used in ‘The Chase’. 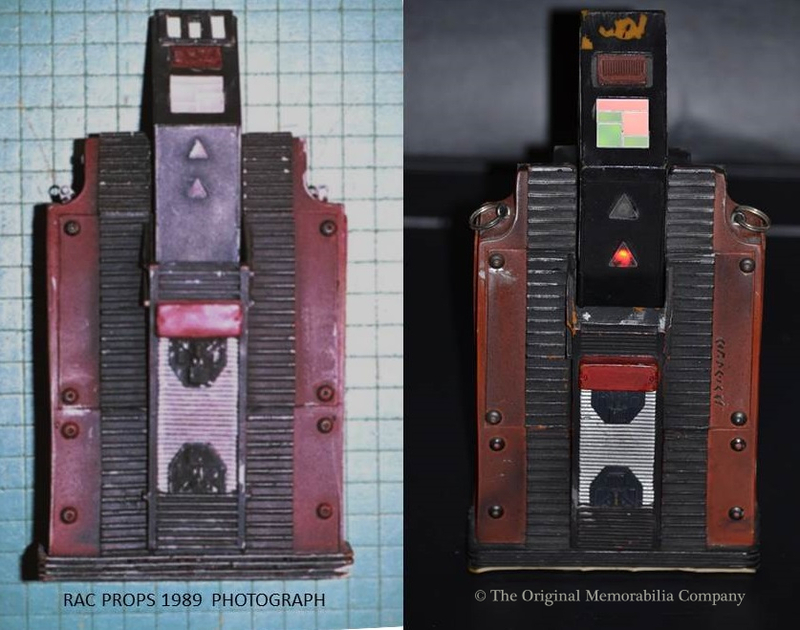 Star Trek prop maker Richard Coyle has confirmed in writing that he made this distinctive Tricorder and that he believes this is an unused ST6 version that may have also been used in ‘The Chase’. We have been advised by Richard Coyle of RAC Props that the acclaimed Star Trek prop maker Greg Jein purchased a number of identical Tricorders from him for use in ST5 / 6 and the Next Generation episode ‘The Chase’, all of which were replicas of the ST3 Tricorder. 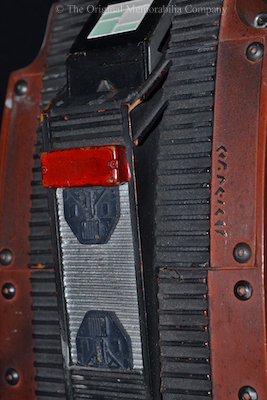 All were modified in some way – some had markings removed by Jein including the sanding and removal of Klingon glyphs before adding various new details. 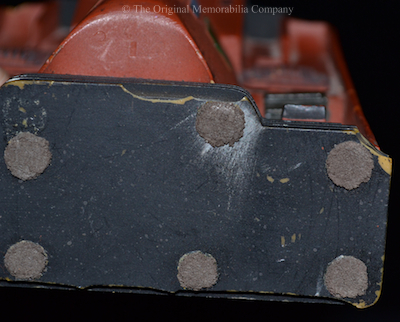 This example has these same identical production-made details added over the markings and Richard Coyle has confirmed in writing he made this piece and that he believes this is an unused ST6 version that may have been used in ‘The Chase’. This is a heavy piece and is in full working order with pop up screen and working lights to front and back. 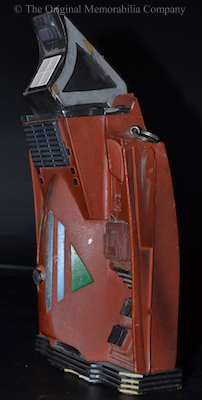 Every piece in this collection original came from the Paramount prop masters trailer. 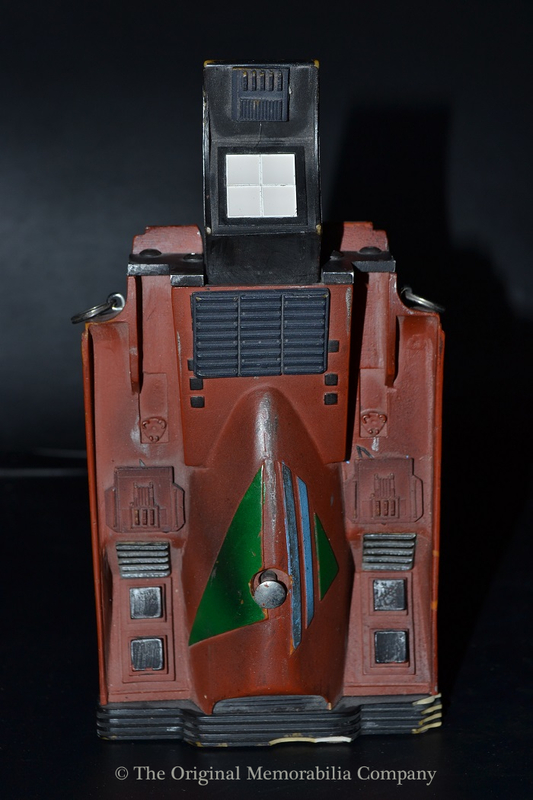 Very few of these have ever come up for sale making this Klingon Tricorder a true Star Trek prop rarity and a wonderful edition to any collection. Approx dimensions 8.5" x 4.5" x 3"
This 25 year old prop is in exceptionally good working condition. 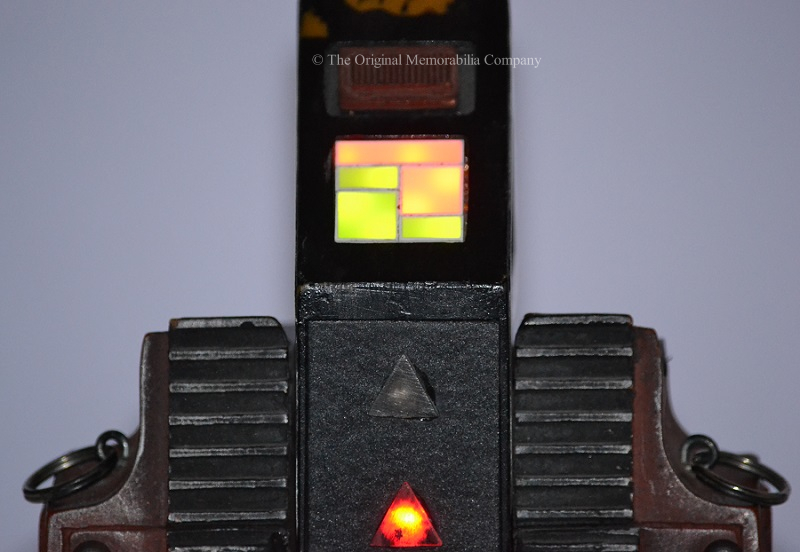 1) This exact piece has been authenticated by original Star Trek prop maker Richard Coyle of RAC Props who has confirmed in writing that he made this specific Tricorder. 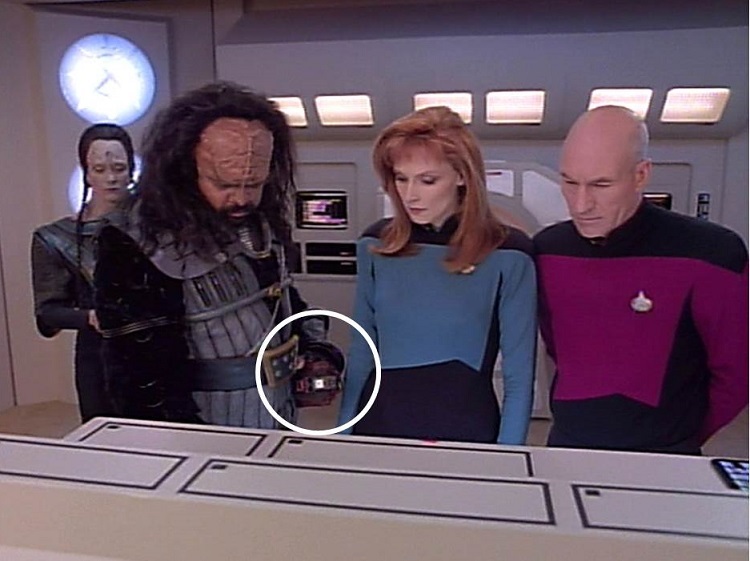 2) This Tricorder and all the items in this collection were originally obtained from a named Star Trek prop master with written provenance held on our files. Full details will be included in your certificate of authenticity. 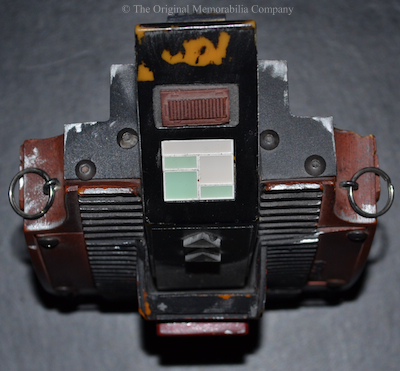 3) We have also shared detailed images of this piece with Don Hillenbrand, a respected collector of genuine Star Trek props and owner of the website www.wrathofdhan.com He has also confirmed that this is an authentic Star Trek prop as described above.